Comments: The bright red flowers attract hummingbirds. The brown to black seed pods split open to reveal scarlet red seeds. 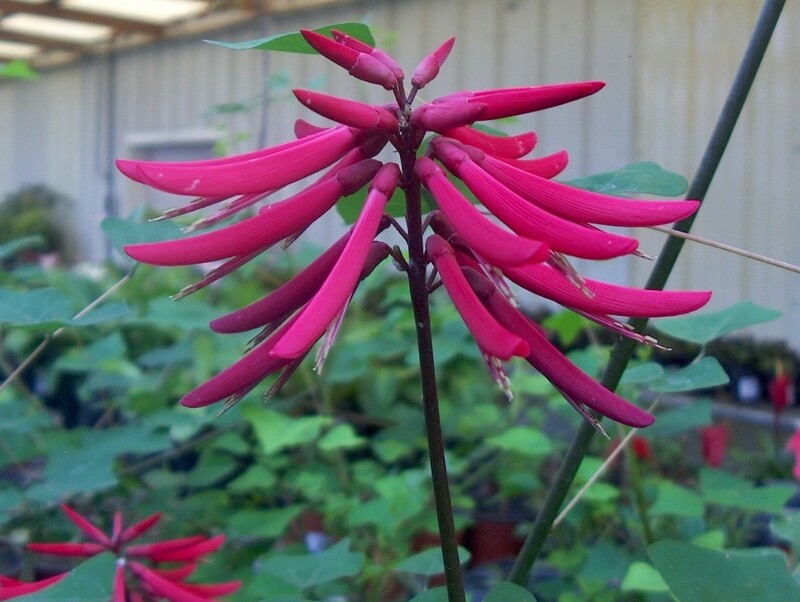 This plant will withstand drought and can grow in soils containing a medium amount of salts.